mishshell: Featuring- Stephanie Kuhn creator of the cinnamon bears!! 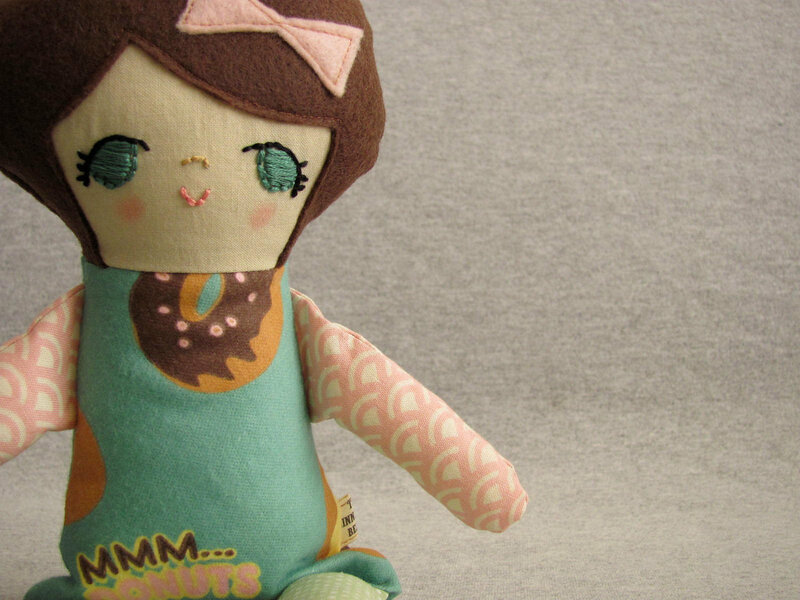 Featuring- Stephanie Kuhn creator of the cinnamon bears!! Happy Monday all! Hope everyone had a great weekend! I spent it with the family in Carmel, a beautiful town about 2 hours away from San Francisco. I'll share pictures of our shenanigans later this week. 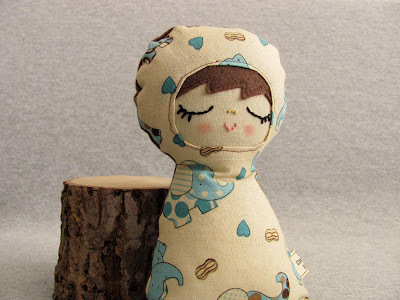 I love these dolls I came across Etsy and couldn't wait to meet the designer behind them! 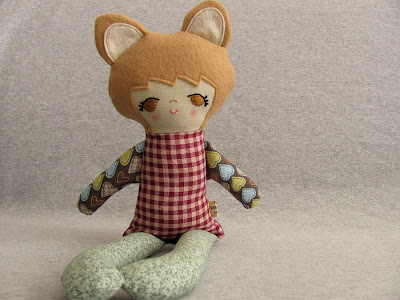 So I'm very excited to introduce to you all , Stephanie Kuhn creator of the cinnamon bears. Her unique little creations are stitched together with great care. -What part of the US do you live in? I was born in Pennsylvania, grew up in Arizona, and now I live with my husband in northwest Georgia. We love the south! 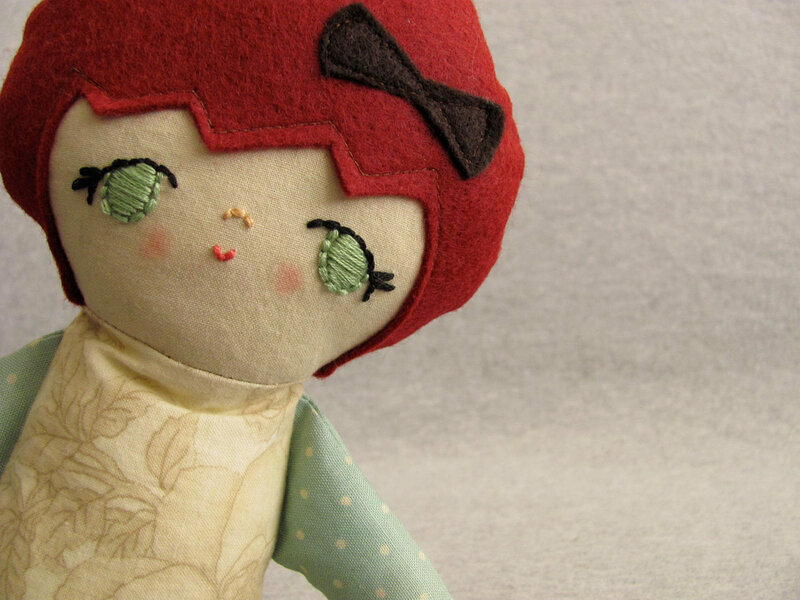 - How did dolls and doll making first become a part of your life?Do you only do dolls? I've always been a doll loving, girly girl! My grandmothers are my greatest inspiration, and they were both extremely skilled at sewing. 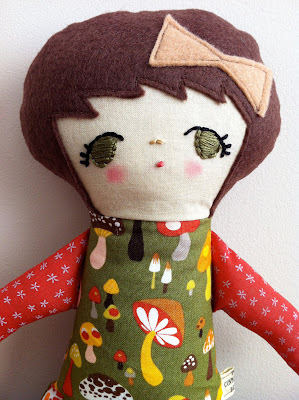 They each made me countless dresses as well as dresses for my dolls. Because of them I have always been passionate about crafting, and had a huge desire to learn to sew. For a long time I was intimidated by my sewing machine and stuck to other kinds of crafting like crocheting and scrapbooking, but recently began tackling a few easy sewing projects to get over my fear. I tried making a few dolls just for fun, based off a simple template I found online. They were poorly made since I hardly knew what I was doing, but still turned out pretty cute! 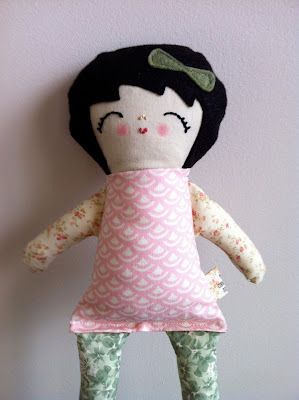 I was so excited that I'd made a semi-decent project with my big scary sewing machine! (hehe!) 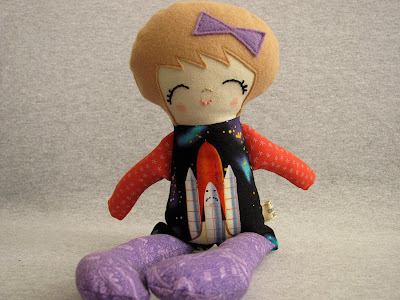 After a couple more dolls, I tweaked the template and came up with an original design. They were coming out better and better. Some friends encouraged me to open an Etsy shop, which was something I felt intimidated by but always wanted to do, so I went for it! For now I only sew 14" dolls and baby dolls, but I really want to develop my skill and add more items to my shop. I have a huge love for children and toys, so I will most likely stick to kiddo friendly items. 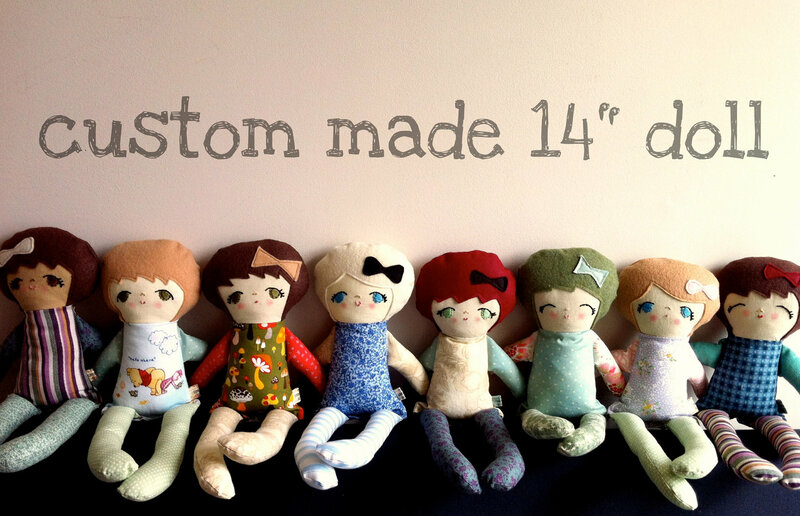 - How long have you been making dolls? 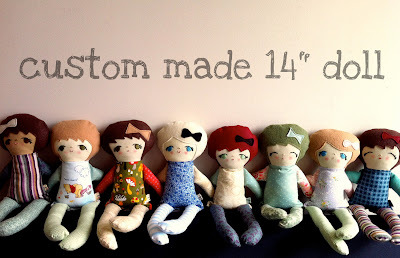 - When you create your dolls do you have something in mind or do you come up with it as you go? I usually start out by picking fabrics that pair well together, and slowly build up the design from there. Once the body, arms, and legs are cut out, I choose a hair and eye color that would compliment the body color scheme. Sometimes I start backwards though, and embroider the face before I choose the rest of the pieces. It all just depends on the day, I guess! Since my business is still pretty new, I am currently figuring out the whole marketing thing! 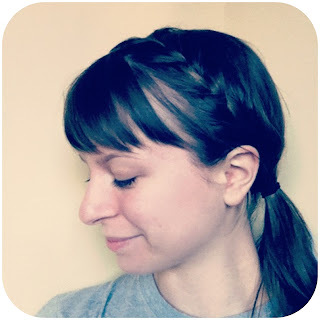 So far I've purchased a few sponsor spots on blogs that I love, and I like using social networks like Instagram (you can follow me @stephaniekuhn!) and Facebook to post photos of what I'm working on at the time. 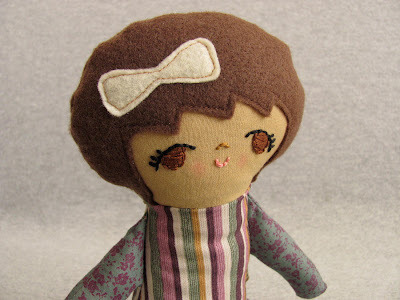 I have a blog as well, where I post occasional shop updates. - How long does it take to make one? A doll takes me about 2 hours from start to finish. Children, especially little ladies who dress themselves! I absolutely love seeing a little girl wearing every color of the rainbow, or a color story that I wouldn't have thought to put together! - Where can people find your work? Nope! I've just been crafting my whole life, dabbling here and there in different forms of creating. 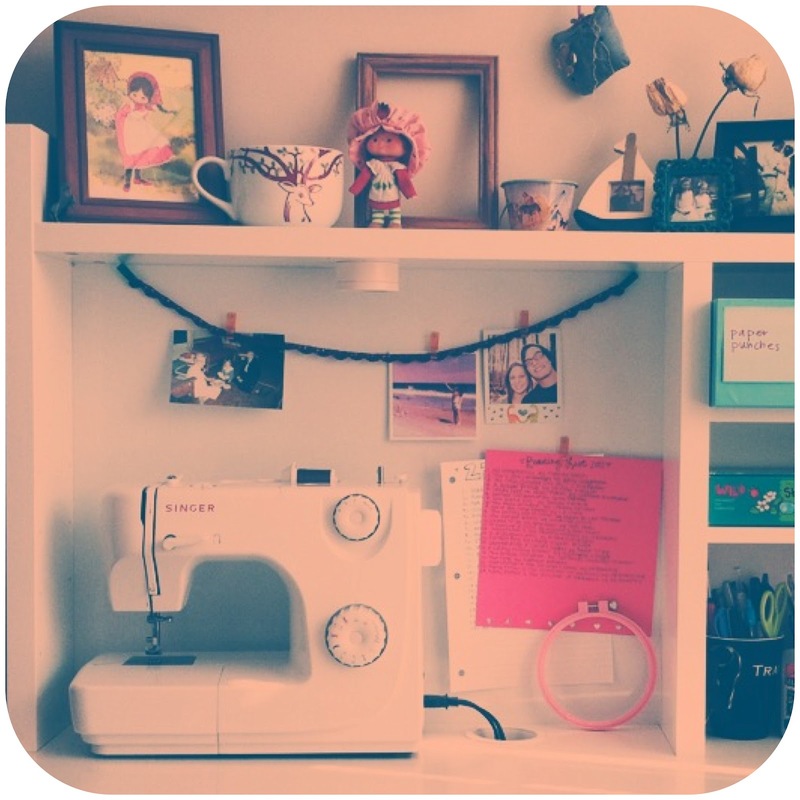 Stephanie's craft room... so cute! - Each doll is unique, do you have a favorite? Hmmm, I can't say that I do! I love them all. 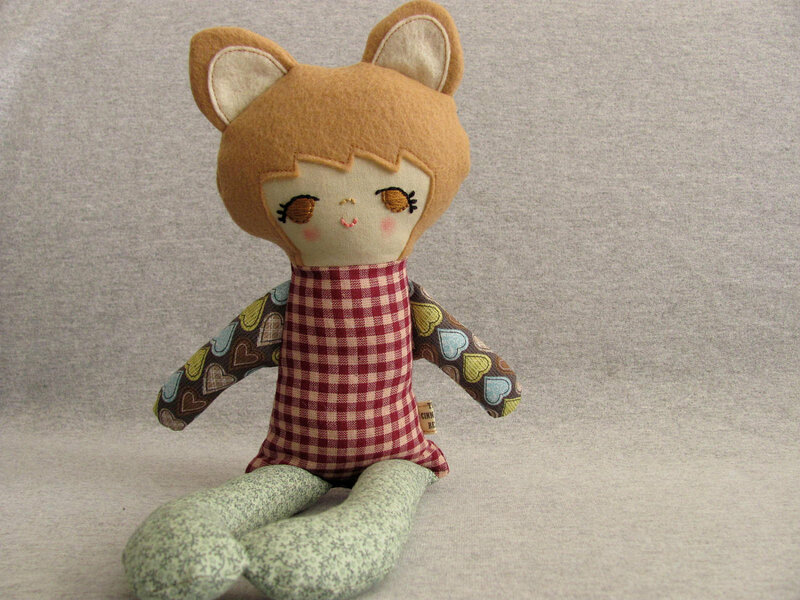 Introducing the beautiful Stephanie Kuhn creator of these lovely dolls, The Cinnamon Bears ! Such a cute post !! Thank you so much for stopping by and checking out Stephanie!